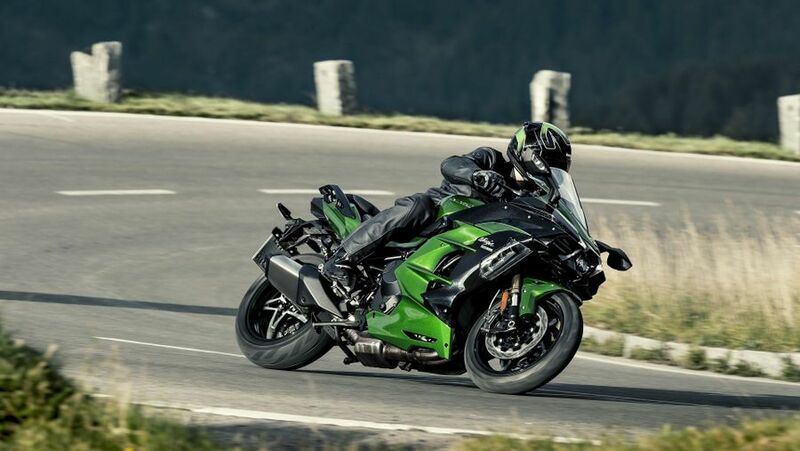 Sports-tourer SX is latest addition to Kawasaki’s radical, supercharged H2 family and, with toned-down performance and prices is set to be the most popular. It’s still a wild, 200bhp ride, though. 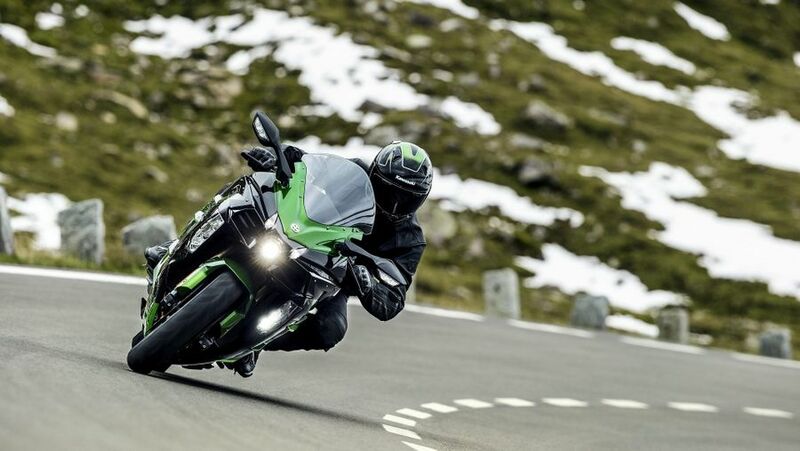 Kawasaki’s all-new supercharged H2 family has been a motorcycling sensation, with up to 300bhp and prices over £40K. This latest SX ‘sports-tourer’ version brings its ‘blower bikes’ into the mainstream with more real world (but still 200bhp) performance and prices starting just over £15K (or £18K for this SE version). It’s still exotic – and blisteringly quick – but is now all-year usable, too. 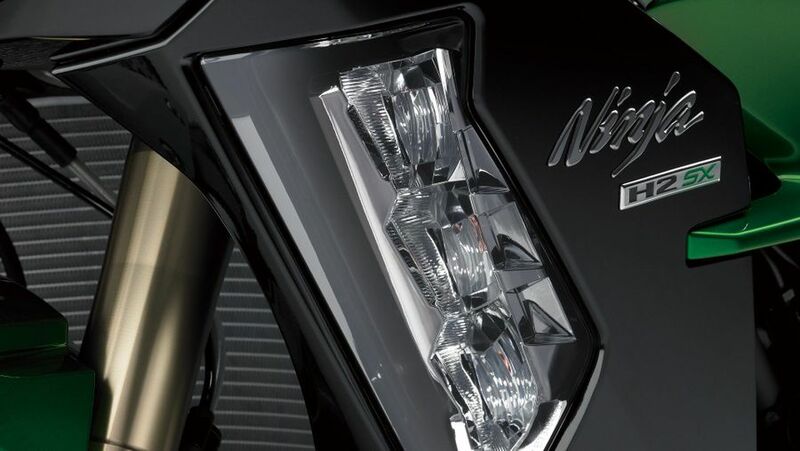 Interested in buying a Kawasaki Ninja H2 SX? It’s tempting to assume the new, toned-down, less extreme, sports-tourer SX is the poor relation to the £47K track-only, 300bhp H2R and £25K, 200bhp H2 but in reality, and especially in posher SE trim, it’s virtually as desirable and certainly more usable. The radical looks are still striking with its angular styling and single-sided swing arm. There are top-notch components everywhere. Build quality is excellent plus, of course, the incomparable, show-off appeal of that reconfigured, slightly detuned, supercharged powertrain. Attention it gets. Despite its extreme H2 DNA, the SX’s revised, slightly more upright and roomy ergonomics are spot-on for its intended sports-touring role. Although a sizeable bike the SX doesn’t feel as heavy or long as normally aspirated ‘hyperbikes’ such as Suzuki’s Hayabusa or Kawasaki’s own ZZR14 and the pillion perch, although slightly high, isn’t bad either. SE version comes with a slightly higher screen although this is available as an accessory on the base SX. You might wonder how any premium-priced, supercharged motorcycle could be considered ‘practical’ but the SX genuinely impresses. The big Kawasaki is comfortable, is available with a matching pannier kit (for £800 extra), is surprisingly nimble and manageable; has a flexible powertrain with switchable modes and is as happy eating the miles as it is going for a country thrash or cutting through city traffic. Instead, the main minus points are the high purchase price along with pretty heavy fuel consumption. How fast does it go? Very – but thankfully it has the stopping power to match. Gun the 200bhp SX through the gears and the delivery is simply ballistic and the thrill immense. Sure, it’s not the 300bhp H2R and it’s not actually THAT different to Kawasaki’s own ZZR1400 but the SX feels more modern and sharper and the sound of the supercharger ‘chirping’ when you abruptly throttle off is hugely entertaining. Fortunately its 320mm twin discs plus four-piston, radially mounted and ABS-equipped calipers are more than up to the job of slowing it down again. Generally, the SX’s ride quality and handling is pretty much as good as you would expect of any 260kg sports-tourer. 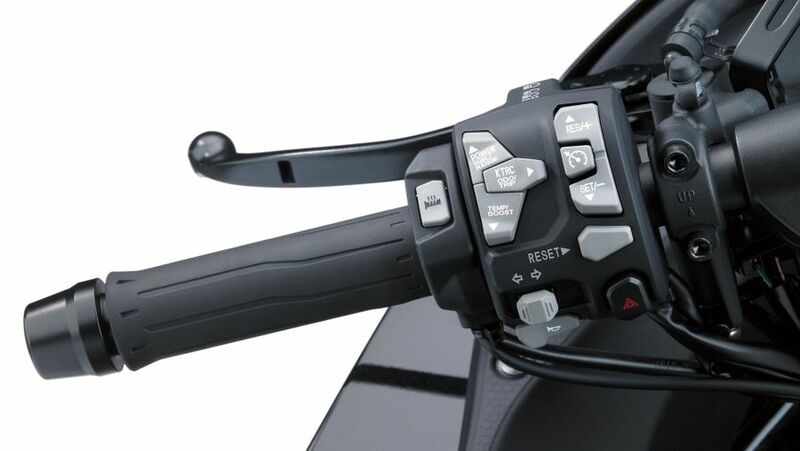 The fully adjustable suspension front and rear (including a handy, remote preload adjusting knob) gives a plush but taut ride, it hides its bulk well and, being shorter and with sharper steering geometry than, say, the ZZR1400, the SX is comparatively sporty and nimble-steering as well. Admittedly, it’s no pure sportster, the SX is too upright, big and heavy for that, but it is engaging and intuitive enough for fun on fast country roads. All that performance, extravagance and equipment costs, of course – and this is where you start paying. With 200bhp on tap plus a supercharger delivery so addictive you’re likely to keep using it, the SX will have a far heavier appetite than most for consumables such as tyres, chain, brake pads and so on. Worst of all, the supercharged, 998cc four simply guzzles down fuel when used hard – with mpgs falling into the low 20s quite likely unless your very prudent with your right wrist. It’s too early to be certain and with new technologies such as superchargers (at least for bikes) it’s natural to have concerns. That said, the SX is loosely based on the H2 and H2R, which have had no significant reported issues so far, and is in a lower state of tune than those bikes, which should add to your peace of mind. On top of that, as a top-of-the-range machine, the SX is beautifully built with quality finishes and top-notch components so overall you should have nothing to fear. The SX, like most modern mainstream motorcycles, comes with a standard, two-year, unlimited mileage, manufacturer-backed warranty for parts and labour. Despite the added complexity of the supercharger, service intervals are fairly standard, too, with the initial service due at 500 miles and all others thereafter at 7600-mile intervals. Depends a little which model you go for – the base SX or, as we tested, the higher specification SE. 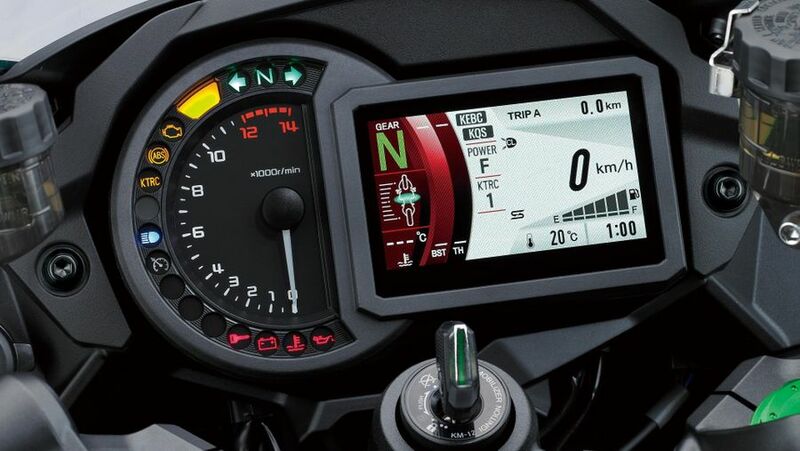 Both get three power modes, traction control and ABS, the SE also gets a fancy colour TFT display, quickshifter/autoblipper, a launch control mode, cornering LED lights on the fairing sides, taller screen, centre stand, heated grips and braided brake lines and is also available in green while the base SX only comes in grey.